The first question that comes to our minds is: Who is Franco? Well, it is not that easy to explain, but we can start by saying that he is not a fake actor. Franco is an experienced trader that has been providing trading predictions for over five years now. His popularity grew when he developed his BinaryOptionsTradingSignals.com site. He started off with the idea of providing Binary Options and Forex signals to his visitors, but then, he turned into a way more interactive platform, where users can interact with each other. It does sound like a chat room, but it's not a dating site (just kidding). The fact that you are able to chat with other traders internationally makes BinaryOptionsTradingSignals by Franco a very helpful and interesting trading style. This is because you will be able to chat with other traders, have open discussions and most likely you will have many or all of your questions answered. But this is not all. Read the full review to get to know the BinaryOptionsTradingSignals by Franco, or visit his site here. Franco is a Binary Options and Forex trader with a lot of background and experience. According to our findings, he is considered one of the best traders in the world. We are not sure if that is true, but he is absolutely good, taking in consideration the big amount of followers and fans he has. Indeed, the thousands of people recommending him is what took us to make an investigation that would end up on this review. Franco is the creator and owner of the BinaryOptionsTradingSignals (BOTS) website. According to our findings, he created a signals platform in order to help people to take trades accurately, but he became popular and the number of users on his website grew really fast. This was due to his good performance and his innovative methods of providing signals. We found out as well that he does not provide signals through any social media. How does the BinaryOptionsTradingSignals work? Just as any other signal services, Franco will analyze the markets and make his predictions before providing the audience with a signal on the BinaryOptionsTradingSignals (BOTS) platform. He will not only make the usual trending analysis, but he will check the news or any extraordinary event that might affect the market conditions. If any of these events happen, he will warn his users to either stop trading, or will give special instructions as to how to proceed. We found this a very unique feature of the BinaryOptionsTradingSignals, since most of the signal providers that we have seen, either through email, text messages or phone calls, do not take news into consideration, which result in many losses from the traders following their predictions. In fact, most auto traders don't control these events and that is the most common cause of Auto Traders losing trader's money. The service does not require any download, as all of the content is on the website. In this case, BinaryOptionsTradingSignals will allow you to enter their live webinars on their official website. This makes it a lot easier, which is a feature that we find really helpful for new traders, as they won't get confused with many windows open. Since BinaryOptionsTradingSignals does not require any broker registration, we highly recommend you to trade with a trusted broker. You can check the Trusted Brokers from Binary Living Way here, along with their full review. Does the BinaryOptionsTradingSignals service have good results? We are pleased to tell you that all we found about Franco's BinaryOptionsTradingSignals are good reviews. The experiences of the people that is using the service is very positive, which shows us that we are dealing with a very legit and serious Binary Options service. Additionally, there is not one single negative review on the BinaryOptionsTradingSignals service that has credibility. 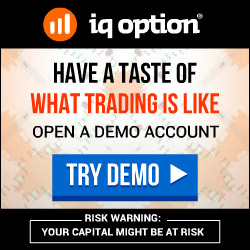 How can I join the BinaryOptionsTradingSignals trading room? Their website is very easy to use and to understand. First, it is very clear when it comes to the cost to join. Second, it does not require to provide too much information, except for your name and email address. In addition, the BinaryOptionsTradingSignals website offers a one day trial every Monday, which we find to be very transparent and legit. Furthermore, the cost of the service will be $97, which you can see by yourself by going into their website here. We are very pleased to give a positive review on the BinaryOptionsTradingSignals service, simply because we find it to be a very useful tool and unique webinar style. On the BinaryOptionsTradingSignals website, you can see a small video showing how many pips is the signal getting, meaning how accurate the signal is. Feel free to check their website by clicking here and to leave a comment. Thank you for reading.